The image of Julian Assange being led out of the Ecuadorian embassy in London was plastered across front pages yesterday — it ended his seven-year asylum spell there. 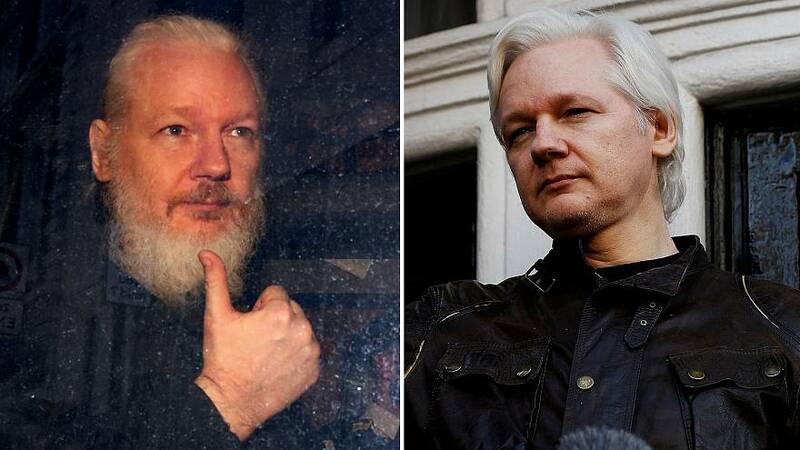 The WikiLeaks co-founder, who is wanted in the US over an investigation into a release of classified documents concerning the wars in Afghanistan and Iraq, was arrested for a separate charge at the London embassy on Thursday. During his time in the embassy, several parties raised concerns about his health including WikiLeaks and doctors that went in to assess him. Brock Chisholm, a London-based consultant clinical psychologist and founder of Trauma Treatment International, examined Assange multiple times over the past year and a half. Along with Sondra Crosby, a doctor and associate professor at the Boston University’s school of medicine and public health, he said in a 2018 article in the Guardian that his patient's health was in a dangerous condition and called for him to be given safe passage to a hospital. Now Assange is out, how might seven years of confinement have affected his psychological and mental health? "We as humans are evolved to be outside and to socialise with other human beings," Chisholm told Euronews. Assange had access to two rooms in the embassy — a large room in the front of the embassy, which he lived in, and another where he received guests. He wasn't in complete confinement but the threat of what might happen when he left always hung over him, according to the psychologist. He was previously able to use the internet and various other communication devices, but over the past year "severe restrictions" were enforced, which had a much greater detrimental effect on him. One key factor that would have had an impact on Assange's physical health was his lack of exposure to sunlight, which can lead to a vitamin D deficiency. Symptoms of this include tiredness, weakness, as well as muscle and bone pain. Chisholm said the thing that had the most profound effect on Assange was the threat of what might happen if he left the embassy. He believed that if he left the building there would be a threat to his life or freedom. "His worry was that he would be extradited to the US and placed in solitary confinement in the way that Chelsea Manning is right now," said Chisholm. "In a way, his greatest fears are now being realised." This poses a problem as "Mr Assange's fight, flight, freeze threat system (the body's automatic, built-in system designed to protect us from danger) is always on, which means all of the neurochemicals associated with this, like adrenaline, are overproducing." This can have profound physical and psychological effects on someone — it can be associated with diabetes, cancer, lack of sleep. "People whose threat systems are stimulated like that die younger by a significant margin," the psychologist said. The "arbitrariness" of Assange's detention could also have put him under even more psychological pressure. He had no idea of when or if he could leave the embassy — a situation that asylum seekers are faced with all the time in the UK, said Chisholm. The fact that someone doesn't know when they are going to get out is an "additional psychological burden", which activates the threat system and can lead to anxiety, depression and psychosis. People in these situations are more likely to become aggressive and also to try to run away from the situation, according to the psychologist. "If you can't run away from a situation, one pathway available to you is suicide, he added, "so people who are kept in confinement and are kept under stress for a long time are more likely to become suicidal". The WikiLeaks chief was found guilty of breaching his bail conditions at Westminster Magistrates' Court on Thursday. The UK must now decide if it will extradite him to the US, where he faces federal conspiracy charges as well as allegations from the Department for Justice that he conspired with Chelsea Manning, an ex-US intelligence analyst, to download classified databases. If he is convicted on charges of conspiracy to commit computer intrusion, he is looking at as many as five years in a US prison. As for Chisholm, he stands by his position that Assange should be given safe passage to a hospital. "Now that he is in prison, I imagine that he has access to healthcare ... that is my hope," he concluded.